Quite a few readers have emailed me asking for advice before they purchase their next mattress. A common question is “Casper or Emma?”. 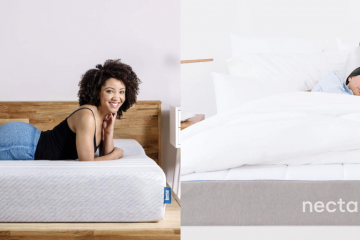 They are two very popular mattresses that are both great but they are very different in design. 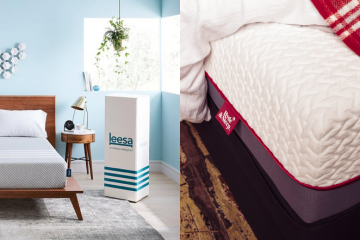 In this Casper vs Emma mattress review comparison, I will talk about all their differences and which one I think you should buy. I am sure you all are curious to find out more so let’s move now to the full comparison below. As I have already mentioned, Casper and Emma follow different design philosophies. 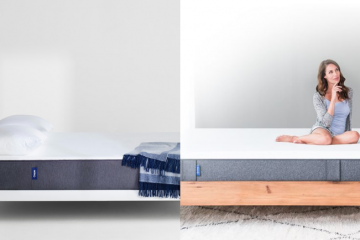 Casper is a hybrid foam mattress and it’s made of 4 foam layers in total. 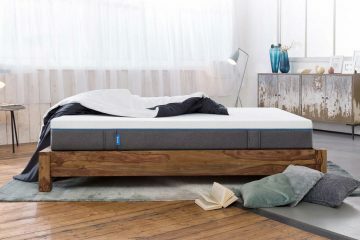 At the top, there is an open-cell foam layer which is designed to allow airflow and keeps the mattress cool during the night. 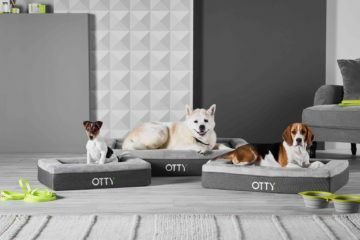 In the middle, there is a memory foam layer that provides the body with the needed pressure relief along with an adaptive transition foam layer that provides you with comfort. Finally, at the bottom, there is a durable support foam layer which keeps the mattress altogether. 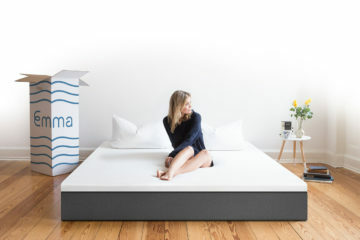 Emma on the other hand is a hybrid mattress which combines memory foam with pocket springs. It is made of a total of 4 layers. At the top, there is an Airgocell foam layer which is their signature material. 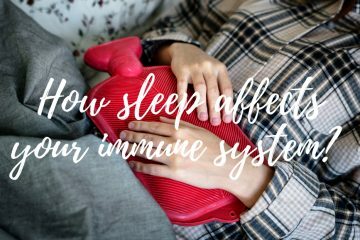 It keeps the mattress cool during sleep but also helps with pressure relief. 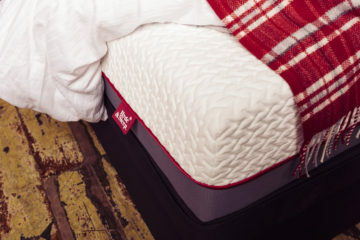 In the middle, you will find a pocket springs layer along with a memory foam layer. Finally at the bottom, there is a cold foam layer which is the base of the mattress. VERDICT: Both mattresses are very well made and the materials used are of really high quality. Both companies have cut the middlemen so you get all this at a really fair price. I personally think that the Airgocell foam is a fantastic material and it makes the difference here, so I give the small edge to Emma but Casper is also very good. Both makers followed the same direction here. They made their covers using polyester and a bit of elastane. Casper designed a very minimal but beautiful cover. It is made of 99% polyester and 1% elastane. The latter gives this stretchy feeling to the cover and makes it stay close to the mattress. This is very important for a good fit. 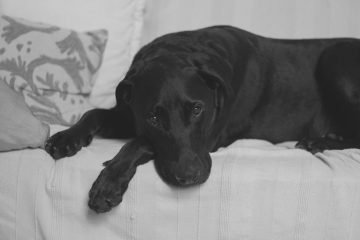 Polyester is a very breathable material and Casper stays cool during the night. The cover features a zip and is removable and you can machine wash it in low temperature. Moreover, the cover features handles that allow you to move the mattress easily. The cover feels soft and looks durable. An overall great job by Casper here. Emma designed a cover which is made of 98% polyester and 2% elastane. It’s very similar to the Casper one and it has a great fit. 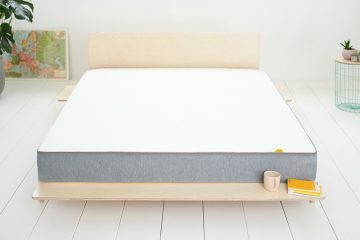 The Emma cover is very breathable and in combination with the Airgocell foam layer they do a fantastic job in keeping the mattress cool during sleep. The cover is removable and machine washable so it’s very easy to maintain. Emma have also applied anti-slip elements at the bottom of the mattress so it has more traction. This is a great feature and I really loved the thinking here. Overall, Emma did great with the design and the making of their cover. VERDICT: Both covers are great and very well designed so I will call this a tie. Both mattresses follow the same approach here and they feel medium-firm. However, Casper feels a bit firmer and if we use my virtual firmness scale it would be a 6.5 with Emma being a 6-6.5. Casper is a mattress that did very well in the back and the side position but it didn’t perform well enough in the stomach position. Unfortunately, I am an avid stomach sleeper so this was disappointing for me. However, if you are a back or a side sleeper then Casper can be a great choice for you. If you are a couple, the edge support of the Casper mattress is good so you may consider this as an option. Emma is a great mattress for all sleeping positions and I think this is quite hard to find. It performed well in all my tests providing my body with both comfort and support. 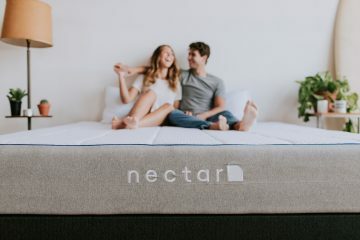 I feel that they have really hit the sweet spot with their design and the mattress is very well balanced. Moreover, the edge supports is great which makes it suitable for couples. VERDICT: The fact that Casper didn’t perform well in the stomach position makes Emma the clear winner here. 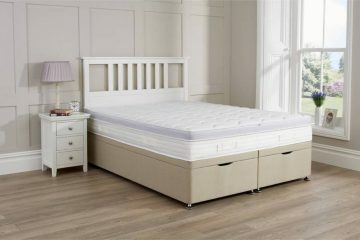 It’s really hard to find a mattress that performs well in all 3 positions and that is why Emma is so highly rated. The table below summarises all the key information for both mattresses. 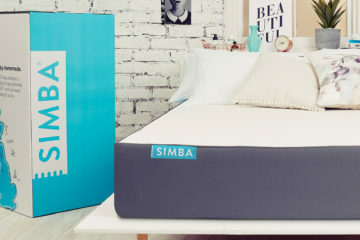 Completing this Casper vs Emma mattress comparison, it’s time I share my final thoughts with you. Overall, I think that Emma is the more complete proposition and it’s the better mattress. Casper is also a good mattress and maybe some people prefer it but I strongly feel that Emma had the edge here. Prefer a mattress that is medium-firm. Casper is a 6.5 in my virtual scale. They want a mattress that has a good edge support that is great for couples. Prefer the back or side sleeping position. 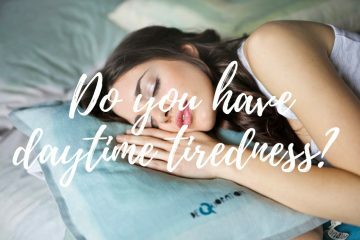 If you want to read the full Casper mattress review click here. You can also buy the mattress here. 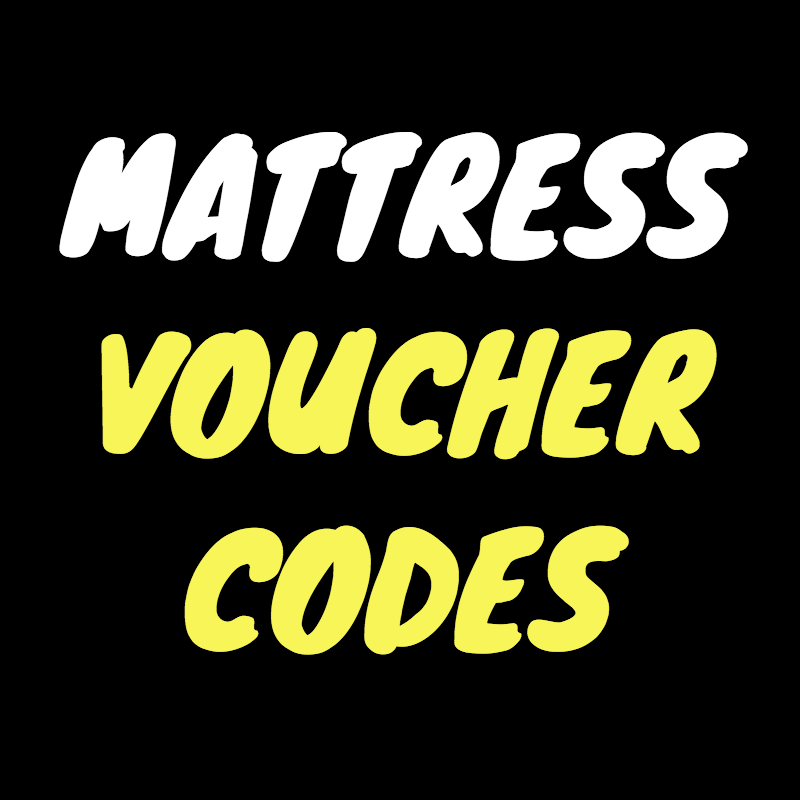 Always check my voucher codes page for big savings. Want an all rounder that performs great in all positions. They want a mattress with an excellent cooling system. Prefer a medium-firm set up which is built for comfort and support. To find out more about the Emma mattress you can read my full review here. You can also purchase the mattress here. For great savings, always check my voucher code page. I hope that you found this comparison helpful. If you still have questions about any of the two mattresses, feel free to contact me and I will try to help.